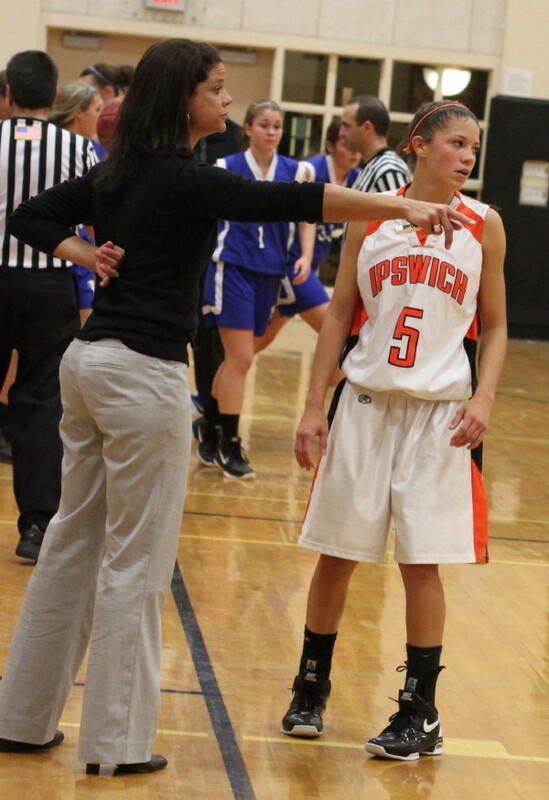 (Ipswich) There will be games when the 2011-12 Ipswich girls basketball team will miss graduated (to Dartmouth) Hannah O’Flynn. 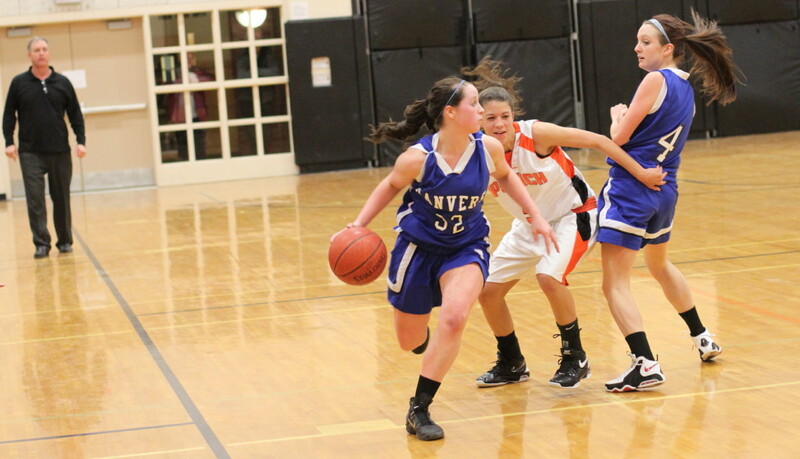 Wednesday night in the team’s opener at Roundy Gymnasium against Danvers (0-2) wasn’t one of them. 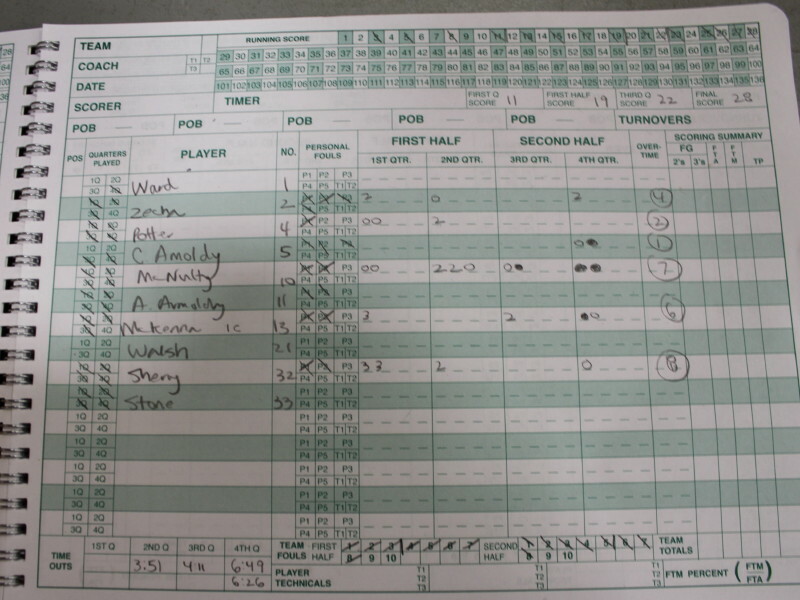 The Tigers routed the Falcons, 51-28, showing plenty of positives on both ends of the court. The visitors hung around for a quarter thanks to a couple of 3’s from Kasey Sherry (8 points) and actually led, 11-10, after the first period. The rest of the way the Falcons passed into turnovers trying to go inside and had few good looks from the outside thanks to a pressuring/trapping Ipswich defense. Their 25-19 halftime deficit enlarged to 40-22 after three quarters and Ipswich cruised home from there in the final stanza. 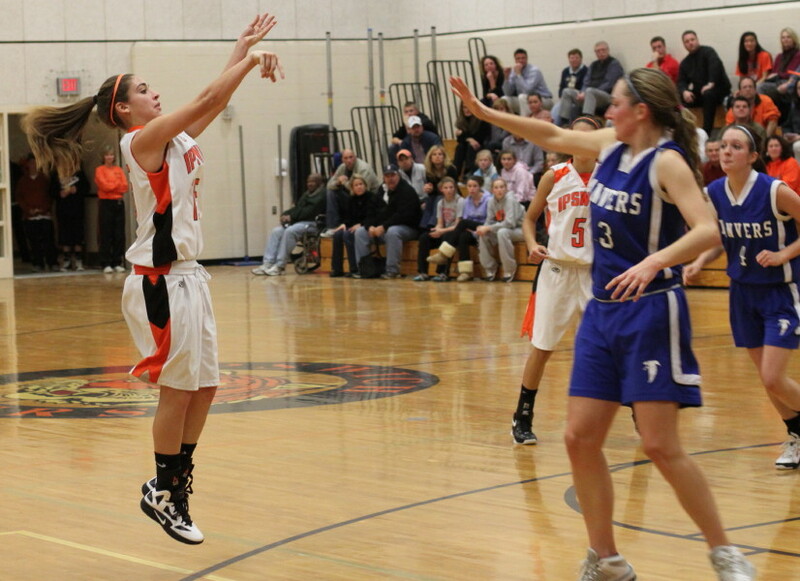 Danvers made just two field goals in the ENTIRE second half. Minus graduated star Kellie MacDonald (Williams College) and returning star (Sarah Palazola) the Falcons could be in for a long season unless they develop some scorers in a hurry. 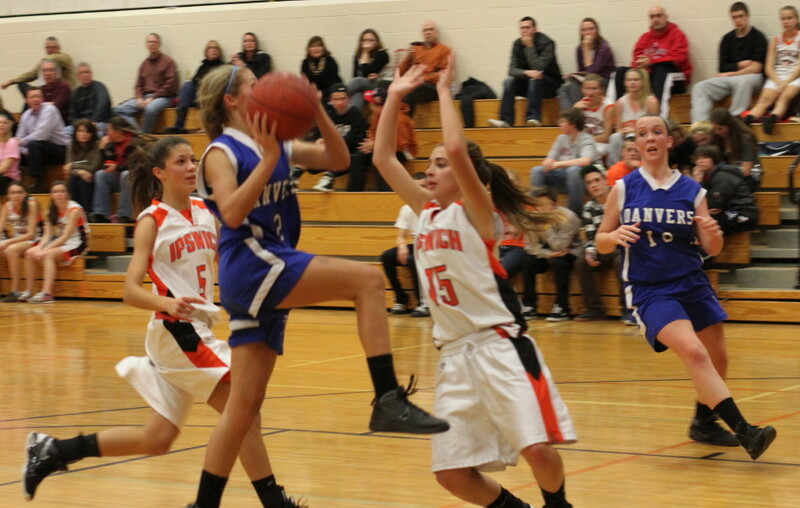 Julia Davis pulls down a rebound for Ipswich. 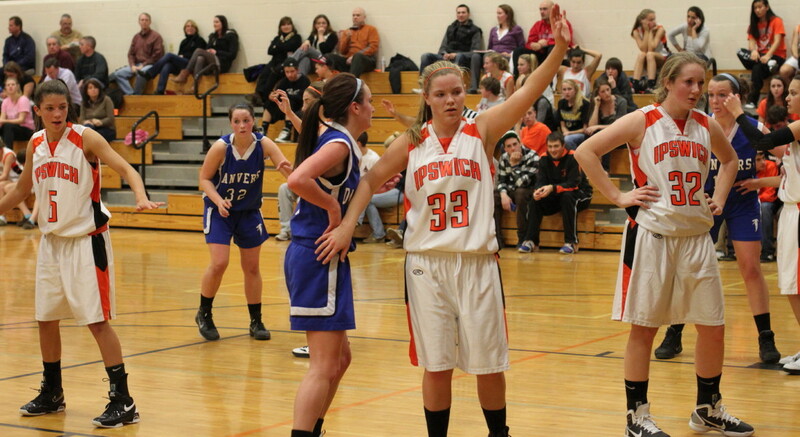 Ipswich received scoring from all their starters with senior Shannon McFayden leading the way with fifteen points, including three long ones. 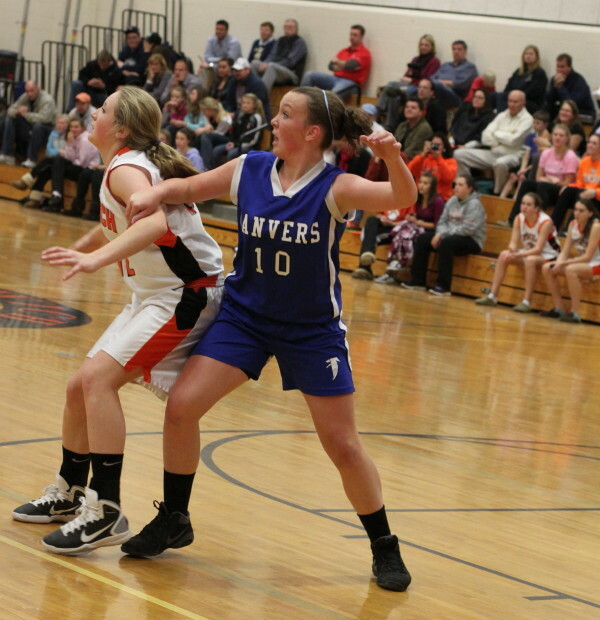 The 2011-12 Tigers aren’t shy about firing up from long range but they also are persistent about getting the ball inside to junior Julia Davis. 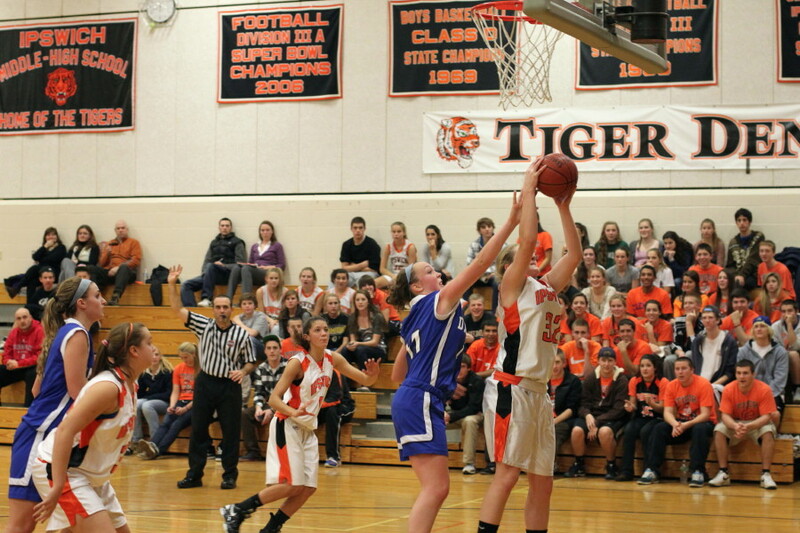 Julia (10 points) had a nice touch around the basket and capitalized on single coverage when defenders got overly interested in the Tigers’ long-range shooters in this game. 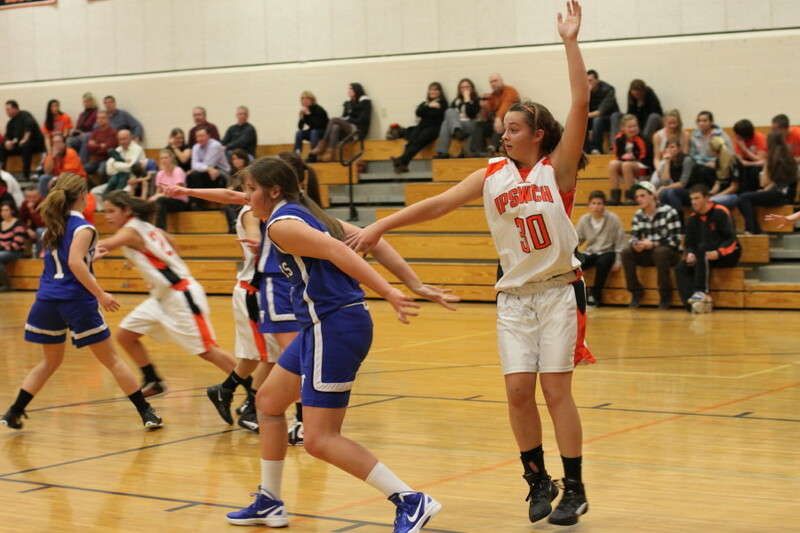 I got my first look at freshman Masey Zegarowski (7 points). Wow! We’re talking smooth with the basketball and a tireless defender. Yes, she is Coach Mandy Zegarowski’s daughter. The Ipswich trapping pressure was especially effective in the second half. Sometimes it forced turnovers and other times it forced the Falcons to play much faster than they wanted to. The only concern will be fouls. How good is the Ipswich bench? One late arrival to that bench was Natalie Soliozy, fresh from a concert down the hall. 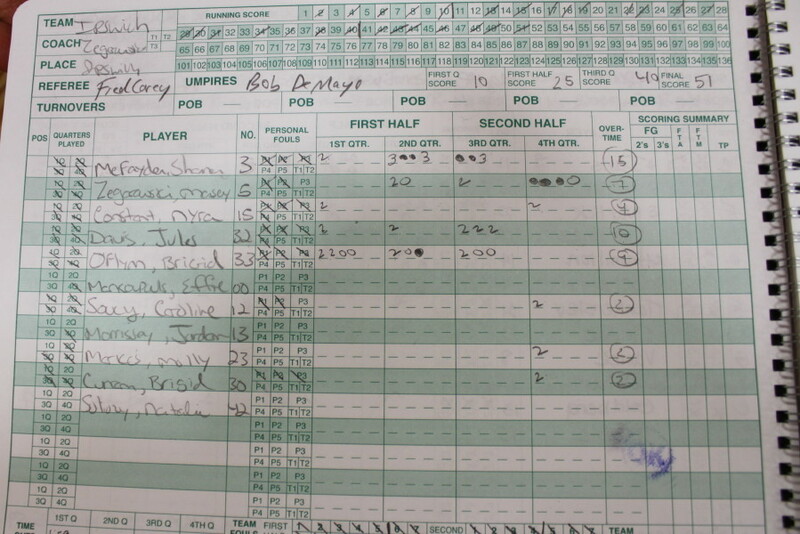 Molly Markos may have had her father (Steve) recalling Celtic Sam Jones with her two-pointer off the backboard. 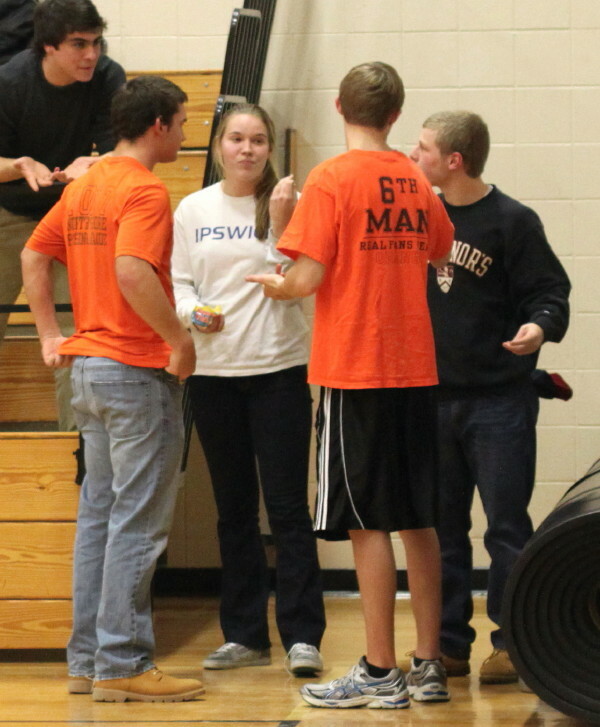 Hannah O’Flynn was in attendance on break from Dartmouth. Coach Gregg Dollas (Newburyport) was on hand for a look at the Tigers. Yes, there are precise details missing from this report. Instead of a written script of the game I decided to try a voice-activated digital recording. Near total failure! Nyra Constant draws charge on Delaney Zecha.